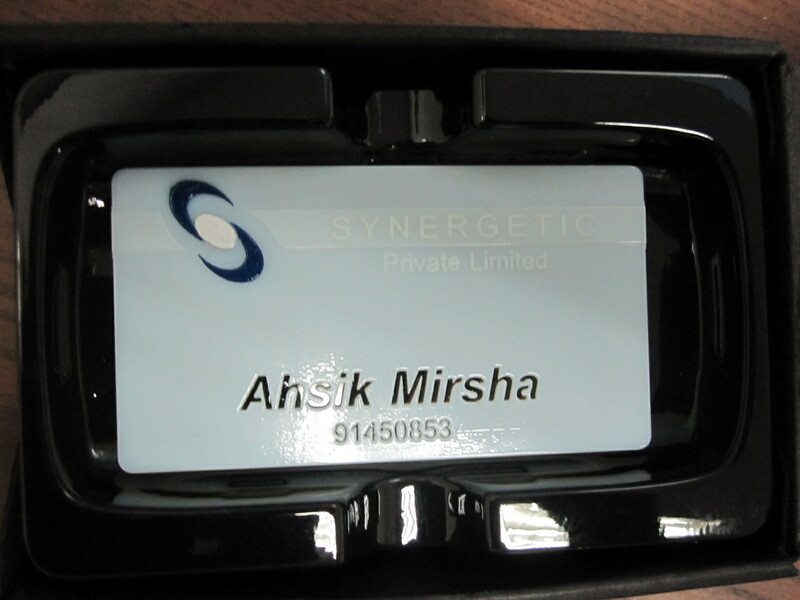 This is a name card printed in plastic. 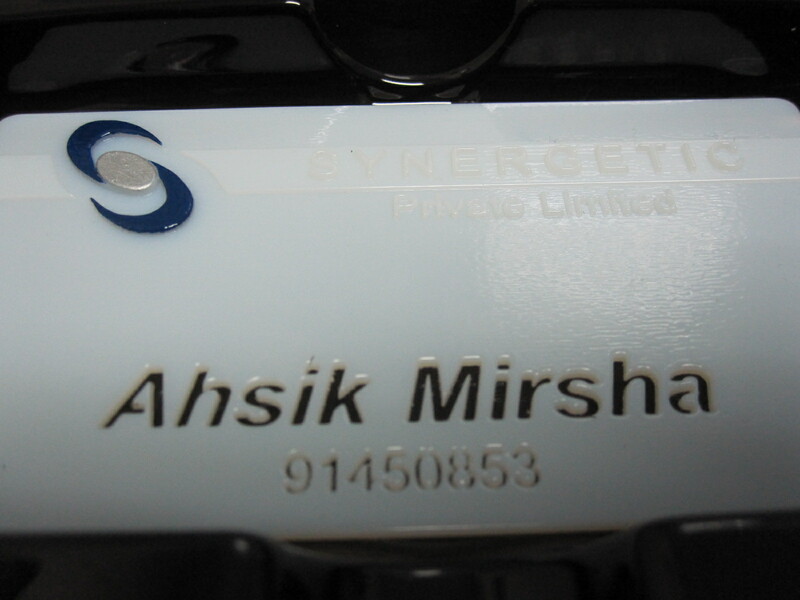 A special name card goes with delicacy and status. This credit card size-like name card, is one of the best choice to present to your client, as sincerity and speciality to made up the weight of the art piece. This is printed out by high definition 3D printing machine, designed by me and target to anyone who like to feel the joy of a special name card in hand. And it comes with a special box – imagine you show that to your client or someone else like your love one. How would he or she react? This entry was posted in RockSolid3D and tagged 3D PRINTING, 3D TECHNOLOGY, architectural, Arts, community, name card printing, plastic printing, singapore 3d printing. Wow, I have read and heard about 3D printing, but never knew anyone who had actually tried it. A very exciting new technology! An interesting idea. The pictures are hard to appreciate the printing work. Good luck. Sounds like a great idea. The wave of the future? This technology has been in USA for 20 years, but just started here not long.